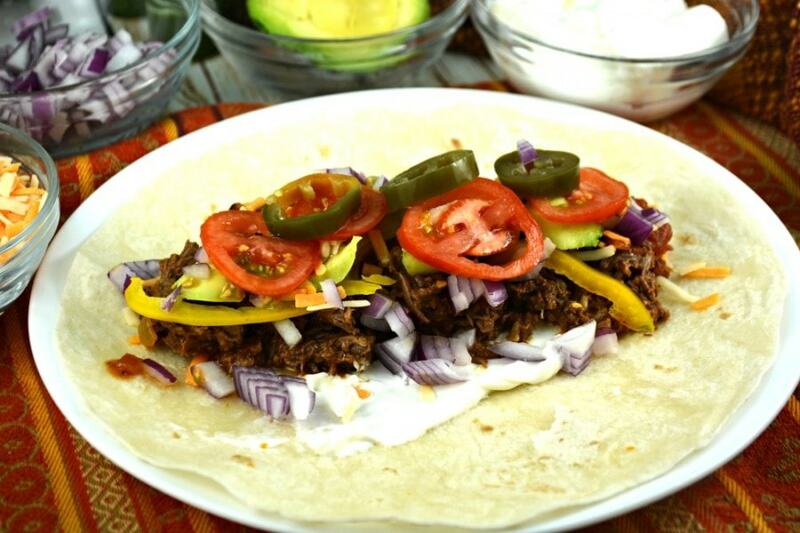 Slow Cooker Pulled Beef Tacos are so easy to make and require only a few ingredients! 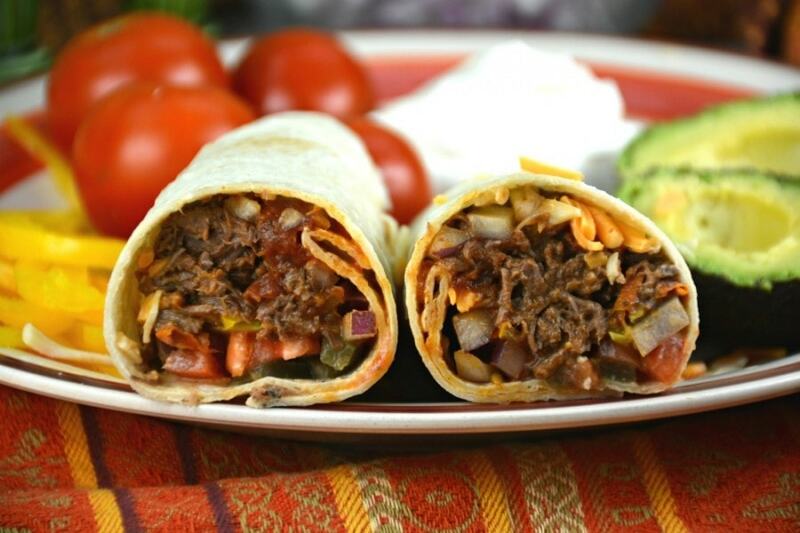 A great weekday meal served in a soft tortilla or taco shell, as a sandwich, on a salad or even rice. I absolutely love my slow cooker and use it frequently throughout the week. Am I the only one? I hope I’m not! I find it so easy to throw everything into the slow cooker in the morning and come home to a little preparation, depending on the required toppings, and dinner is served! Years ago I started to make this recipe and realized I had no taco seasoning. I couldn’t believe it. For some reason I thought I would just use Italian seasoning and the results were wonderful. I was kind of shocked, I have to admit, but the Italian tacos were such a big hit I kept the recipe in my rotation to this day! You have the option of adding the taco seasoning or 1-2 tablespoons of Italian seasoning to the tomato sauce. Both are delicious! You also have the option to try Our Favorite Slow Cooker Pulled Pork or Slow Cooker Pulled Chicken Tacos too! All are just as good as the other! Take a moment to check out our video below. 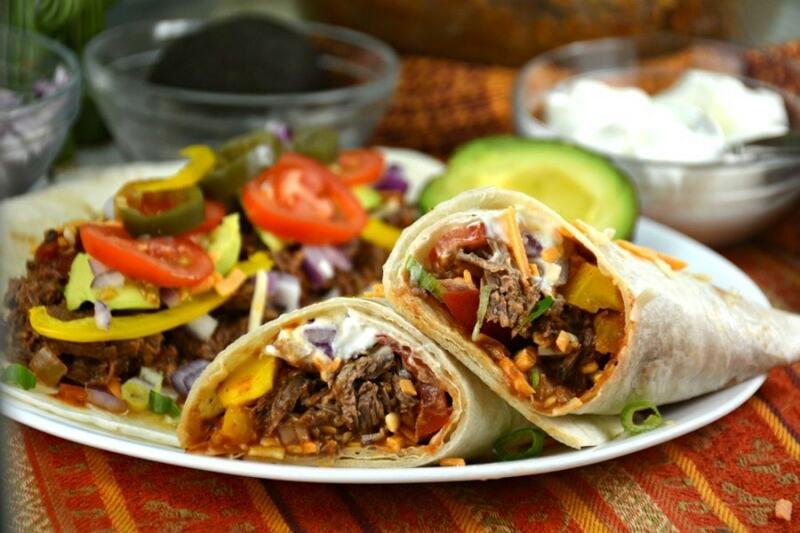 You won’t believe how easy these Slow Cooker Pulled Beef Tacos are to make! Prepare your slow cooker with cooking spray. In slow cooker add diced tomatoes, tomato paste, onions, garlic, Italian seasoning, salt and pepper. Stir until combined. Add beef rolling around to coat. Cover and cook on low until beef is tender, 7-8 hours. Remove beef from slow cooker and remove any string. Using 2 forks shred or chunk into bite sized pieces. I find that different cuts of meat shred differently so do not hesitate to cut the meat into small chunks as necessary. Transfer to a mixing bowl. Add 2-4 cups of the sauce to the beef and toss to coat. I love sauces and gravy so I tend to add in more sauce than Ken does when he makes this. The amount of sauce is up to you. 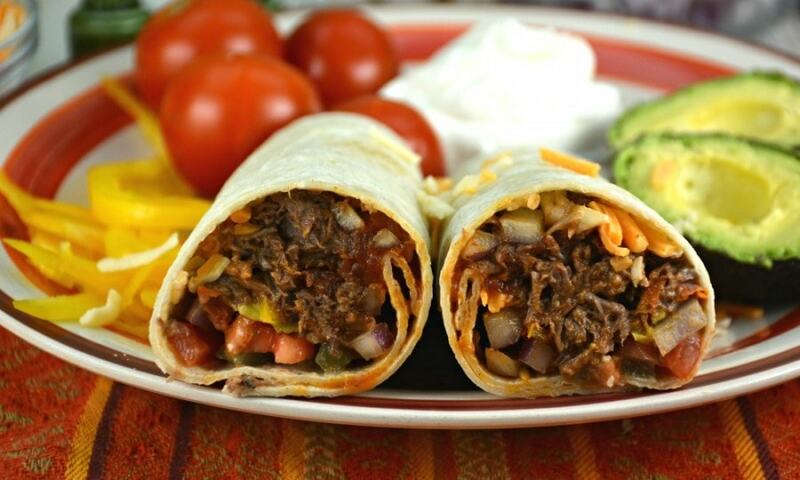 Serve wrapped in a tortilla with green onions, sour cream and any other toppings if desired.